Fry hash browns and lay them evenly in a half steam table tray. 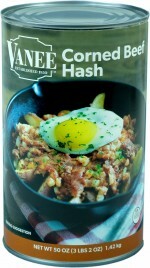 Spread the can of Corned Beef Hash on top of hash browns. Bake at 350 degrees for 30 minutes. 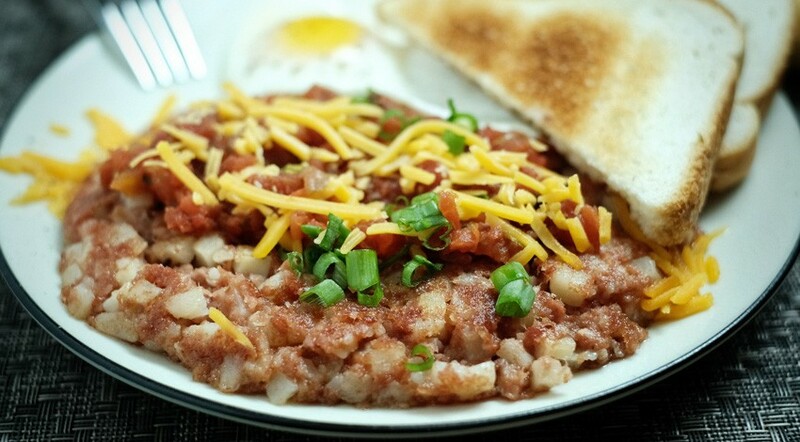 Garnish with picante sauce and cheese.